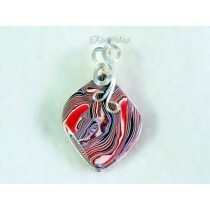 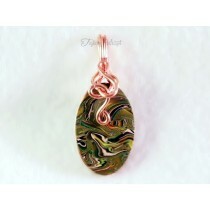 These pendants are created using clay cabochons and quality wire. 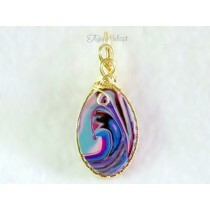 The cabochons are created here in our home through a process of shaping the clay, then baking it to harden it for long term durability. 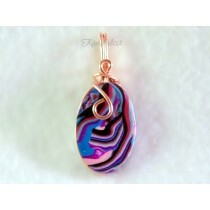 The cabochon is then finely sanded to remove any imperfections and a groove is run around the sides for wire placement. 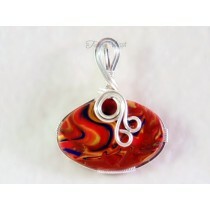 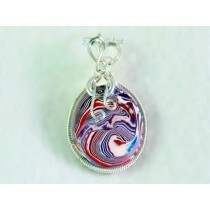 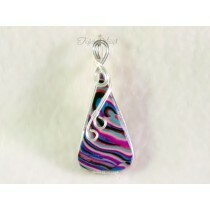 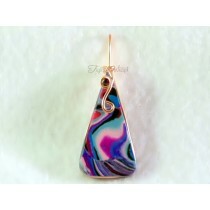 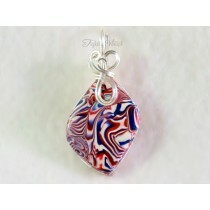 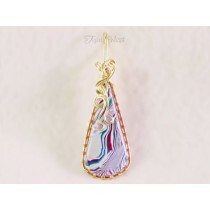 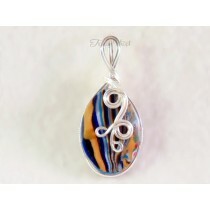 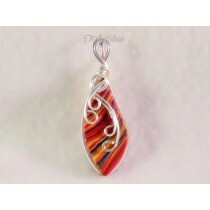 Each cabochon is sealed to give it a shine and wire wrapped in a variety of wire mediums to create a beautiful pendant.